Laziness is a disease created by humans but ironically it comes in a beautiful, addictive form that prisons you. There are more important things in life than Facebook and Twitter, like watching TV, and taking naps! My swimsuit told me to go to the gym. 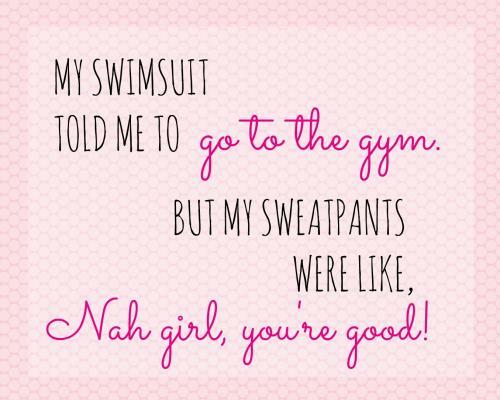 But my sweatpants were like, Nah girl, you're good. 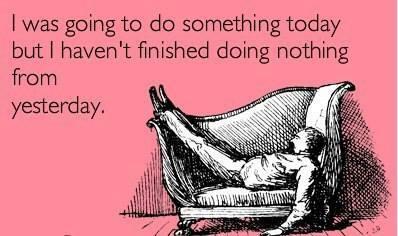 I was going to do something today but I haven't finished doing nothing from yesterday. You've got higher grades than mine, not because you're smarter than me, but because I'm lazier than you. I know that somewhere in the Universe exists my perfect soul mate, but looking for her is much more difficult than just staying at home and ordering another pizza. I feel lazy. In fact, I'm feeling lazier than the guy who drew the Japanese flag. If laying in my bed for the rest of the day is wrong, then I don't want to be right. 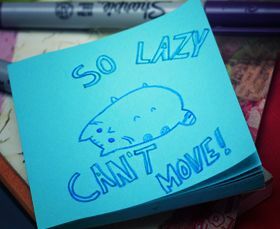 Funny Lazy implies being sluggish or indolent. Lazy people show aversion to work and often don't do the work at hand with a lot of zest and vigor. Funny lazy people are funny and nonchalant, along with being lazy. Funny lazy people show no interest in their work and have a laid-back attitude towards life. Funny lazy life is a life without purpose and an extremely indolent life. Such a sedentary lifestyle in which you have no purpose and aim and don't even want to do something to self-sustain is completely worthless and won't lead you anywhere. Funny lazy people should work to tackle their laziness and take more interest in their work. It is not bad to have a good sense of humor and have a funny character but laziness is a bad quality which one should do away with. Laziness should be substituted with swiftness and dexterity at work.